For Php 1,399, savor classic favorites Pinoy Spice Chicken, Escabecheng Tangigue, Seafood Habhab, and Baby Prawns Sinigang. 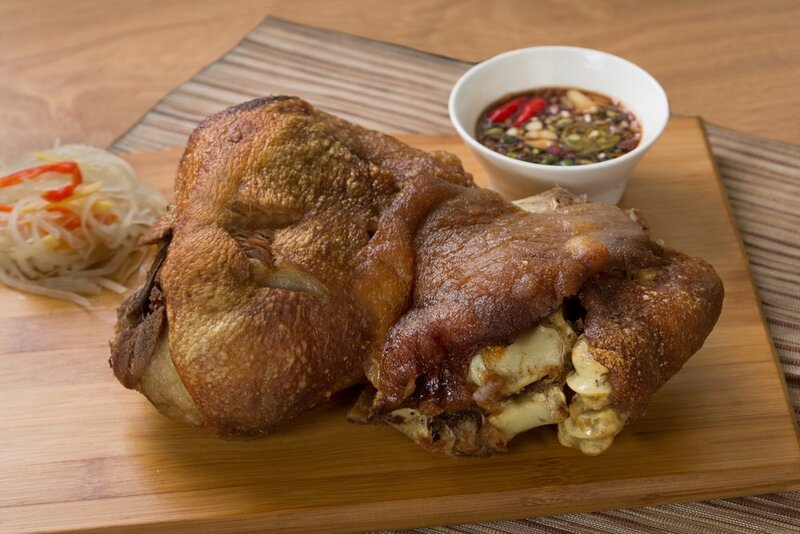 For Php 1,599, enjoy the Crispy Pata Jumbo, Baked Bantayan Scallops, Puso Salad, and Chicken Tinola. For Php 1,699, choose between a set of Crispy Pata Jumbo, Baked Bantayan Scallops, Adobong Talong, Baby Prawns Sinigang or a set of Crispy Pata Jumbo, Lechon Kawali, Cowrie Pinakbet, and Tinolang Tangigue. All Feast Bundles come with unlimited rice and a pitcher of Agua Fresca. For a more private celebration, function rooms for groups of up to 200 are available at their Golden Cowrie Lahug branch. Bring the whole family together and celebrate milestones over a quintessentially Filipino feast at Golden Cowrie, with over 40 branches nationwide. In Cebu, Golden Cowrie is located at Salinas Drive Lahug, Marina Mall, AS Fortuna, SM City Cebu and Golden Cowrie Filipino Kitchen at Ayala Center Cebu. Hukad is located at Robinson’s Cybergate, The Terraces of Ayala Center Cebu, Parkmall, South Town Center, and SM Seaside City. For deliveries and reservations, contact (032) 233-4243 and (032) 233-3278. Visit www.alwaysafeast.ph to know more about this proudly Cebuano restaurant.